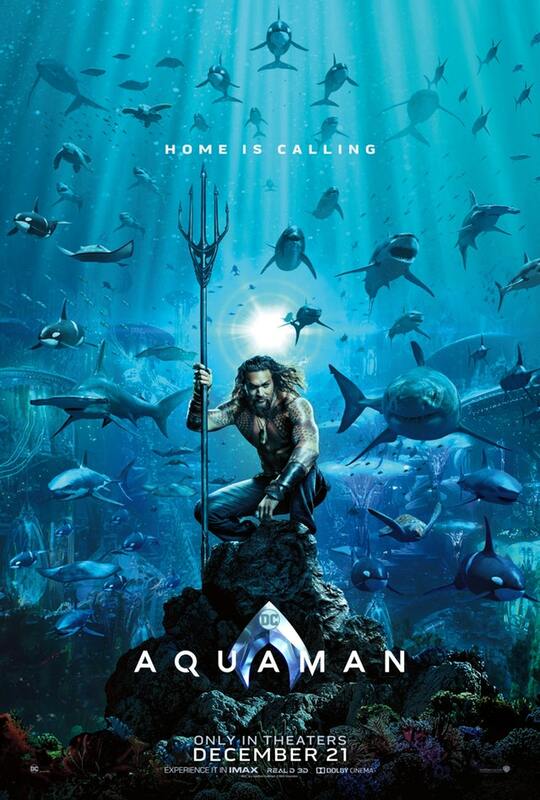 Directed by James Wan (Insidious) and co-written by Wan, DC Comics writer Geoff Johns, and Venom screenplay writer Will Beall, Aquaman highlights the origins of Atlantean super hero and Justice League member Arthur Curry, played by Jason Mamoa. In addition to Mamoa, the film stars Amer Heard as fellow Atlantean Mera, Nicole Kidman as Arthur’s mother Queen Atlanna, Patrick Wilson as Arthur’s brother Orm, a.k.a. Ocean Master, and Yahya Abdul-Mateen II as the villainous Black Manta. Warner Bros. has unveiled the first full trailer for Aquaman at this year’s San Diego Comic Con. Being that the film is set to release in theaters in only 5 months, Warner Bros. wasn’t stingy with the amount of footage revealed. Based on the trailer we see that Aquaman will have to battle his brother Orm for the throne of Atlantis. We are given a look at the epic of scale of the hidden underwater city as well. Aquaman will also go up against what seems to be a very comic book accurate Black Manta, who is arguably one of Aquaman’s most iconic and recognizable foes, originally introduced to readers in the 1960’s. Considering the lackluster critical response Warner Bros.’ DC Comics movies have received in the past, let’s hope Aquaman is able to turn it all around. Aquaman is set to release in theaters December 8th, 2018. Check out the full trailer below and feel free to let us know what you think in the comments.